Explore the neglected canvas of a once thriving utopia of artists. 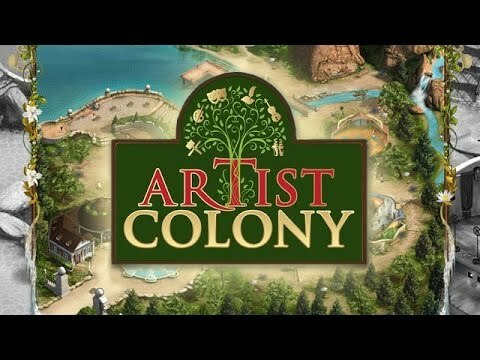 "Artist Colony is about several people who are searching for another place to live on the island. After being shipwrecked, you are instructed how to get each person to interact with different objects on the island so they can survive. Once a colony member knows his job, just sit back and watch them. It's a slow-paced game but sometimes we all need a breather." Explore the neglected canvas of a once thriving utopia of artists – the most pioneering creators of their time. Complete tasks and chores to transform the colony and inspire artists to return to this sanctuary of creativity. With specializations in sculpture, dance, music and more, it's up to you to guide each individual as they practice their craft, deepen their skills and create masterpieces in their chosen fields. Guide their relationships, face rivals and uncover the mystery behind the original colonists and their hasty departure.